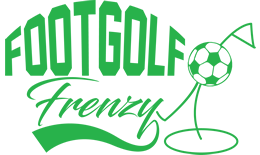 In Milton, just outside of Cambridge, is Cambridge Footgolf. Open daily this largely flat 18-hole course is perfect for a longer game of Footgolf. With easy access from the A10, this course is easily reachable and draws from a wide area, so it is worth booking ahead. The wide-open fairways offer an exhilarating game, with challenges suitable for the casual player, beginner, and those looking to deepen their experience. Footballs are provided by the club. Once you’ve finished your game feel free to head over to the bar which serves a wide-ranging and appetising menu. The bar area has Wi-Fi access and Sports TV for your enjoyment as well. Footgolf is a fabulous hybrid sport, blending football and golf, and this East of England Course is an ideal place to play.